-- An amazing true-crime story that unfolds faster than you can keep up, and leaves you longing for more, when you turn the final page. Raped at thirteen, she was forced into a shotgun wedding after her high school was featured on national television for having the highest number of pregnant teens in the U.S. But then Daleen Berry found herself married to a coal miner who kept her barefoot and pregnant. By age twenty-one she had four children. 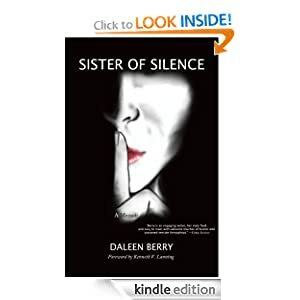 Sister of Silence is the amazing story of her personal journey: how she went from being a teen mom to an award-winning journalist determined to break the silence that shatters women and children's lives. 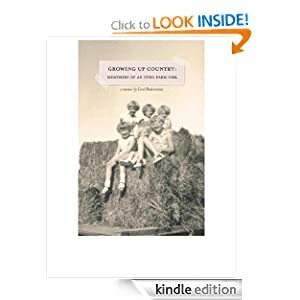 -- Growing Up Country delivers a treat as delicious as oatmeal cookies hot out of the oven - a memoir of a happy childhood. In charming and memorable vignettes, Carol Bodensteiner captures rural life in middle America, in the middle of the 20th Century. Bodensteiner grew up on a family-owned dairy farm in the 1950s, a time when a family could make a good living on 180 acres. In these pages you can step back and relish a time simple but not easy, a time innocent yet challenging. If you grew up in rural America, these stories will trigger your memories and your senses, releasing a wealth of stories of your own. If the rural Midwest is foreign territory to you, Carol s stories will invite you into a fascinating and disappearing world. 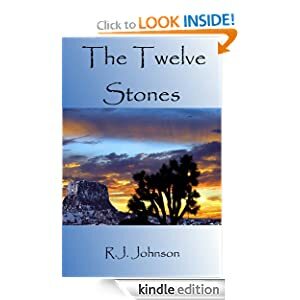 -- Twenty two years ago, Alex McCray found the first of the Twelve Stones, a set of powerful artifacts left for Humanity to find and use to save Earth from certain destruction. Returning to his hometown of Onyx, California, Alex reunites with his father who returns the stone Alex found so many years ago. Their reunion is cut short however after Alex's father is murdered by billionaire industrialist Rupert Kline, a madman who will stop at nothing to collect all twelve stones for himself. Driven by revenge, Alex McCray vows to bring his father's killer to justice and keep the remaining Twelve Stones out of Kline's hands. 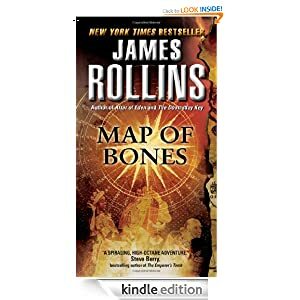 -- The bones lead to ancient mysteries and present-day terror . . . To follow them means death. With the Vatican in turmoil, Sigma Force under the command of Grayson Pierce leaps into action, pursuing a deadly mystery that weaves through sites of the Seven Wonders of the World and ends at the doorstep of an ancient, mystical, and terrifying secret order. For there are those with dark plans for the stolen sacred remains that will alter the future of humankind . . . when science and religion unite to unleash a horror not seen since the beginning of time. -- Everyone wants to do that – but how? And how can you do it within the organization, where most people will spend their entire working lives? This book has the answers. 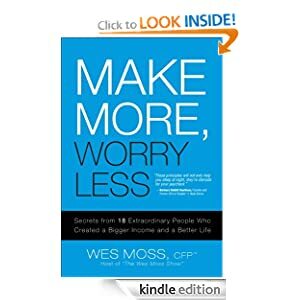 No academic theory here: Make More, Worry Less brings together 18 riveting stories from people who’ve achieved both of these goals, gaining surprising wealth and real peace of mind along the way. These aren’t superheroes. They’re ordinary people who’ve done the extraordinary: from fast-food worker Linda Robb, now earning a six-figure income at Aflac, to once lowly telemarketer Steve Hudson, now running business development at one of the most promising start-up companies in the nation. Author and radio host Wes Moss reveals the powerful lessons these individuals have learned. Better yet, he shows how you can use those lessons to take ownership of your life and career, earning more money than you ever thought possible. But that’s only half the equation! Moss also shows how to handle your increased success with less stress, fewer worries, and greater happiness.